NG Media has been successful in gaining a grant from the Community Heritage Grants program of the National Library of Australia. The grant will enable the organisation to conduct a Significance Assessment of its archive of film, sound and music. Such an assessment is the critical first step in gaining the resources needed to further develop the archive so that it is accessible and can be properly managed. The NG Media archive has been collected over more than 20 years by media workers from communities across the Ngaanyatjarra lands and includes unique cultural and historical material. It provides a valuable resource for Yarnangu and remains alive and relevant. 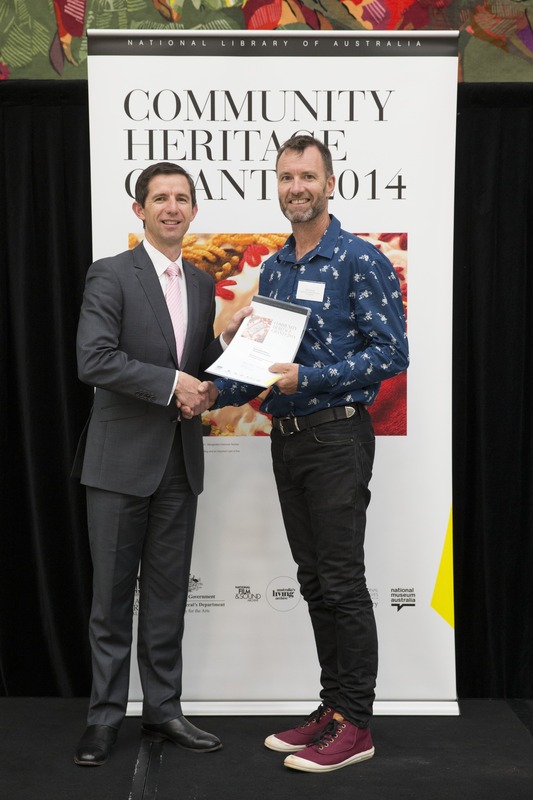 As part of the grant, Operations Manager, Mark Finlay travelled to Canberra for a workshop. While there, he received a certificate from Senator Simon Biringham, Parliamentary Secretary to the Minister for the Environment, on behalf of the organisation.